Looks good. Hope you left room for this year. I love the color Jala Rut. 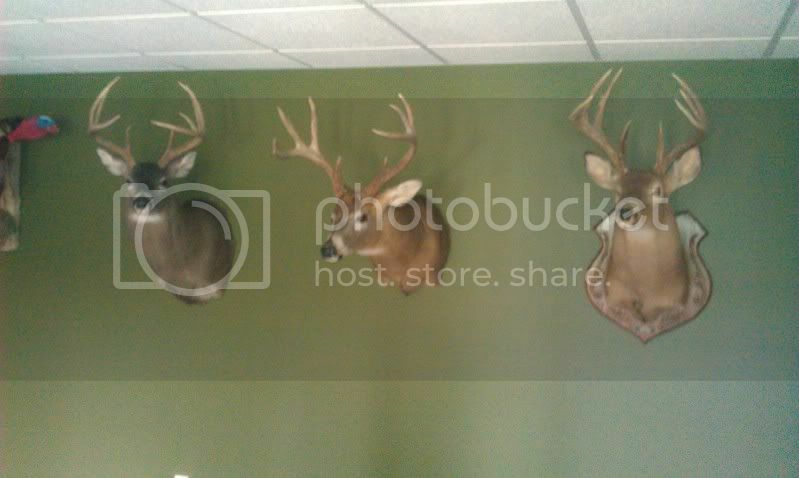 I really like mounts on darker colored walls. I painted a wall in the basement where I used to live a dark hunter green and liked that affect as well. I agree Aaron the dark background really makes them pop...You've got some nice looking mounts there!